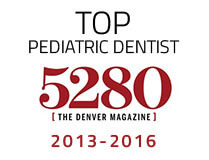 Dentists alone find 84% of oral cancers early on, making oral cancer screenings in Castle Rock an important part of your child’s routine checkup. While they don’t have as much of a risk as adults, we still check for this problem so if there is cancer, we can detect it before it becomes life-threatening. Dr. Layne Benzley and his team are experienced in detecting the warning signs of oral cancer. If you or your child notices or feels any of these symptoms, contact our office right away. We may recommend a biopsy for further investigation, which is the first step towards stopping cancer in its tracks. While chances are incredibly slim for a child to get oral cancer, we still provide oral cancer screenings because it is a possibility. Even though they don’t use tobacco products or smoke, their small chance of getting oral cancer is worth checking. When oral cancer is detected early on, there’s a much higher chance of a full recovery rate. 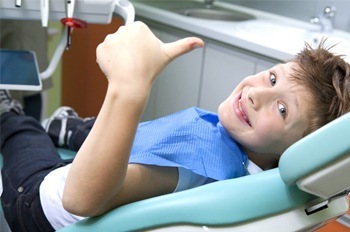 Your child’s oral cancer screening only takes a few minutes as a part of their routine appointment. 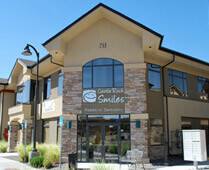 It’s noninvasive, so they will remain happy and comfortable throughout the process. Dr. Benzley will examine your son or daughter’s mouth, jaw, neck, head, lips, cheeks, gums, tongue, and throat for any cancerous tissue or abnormalities. Because these signs are hard to detect, this visual examination is paramount to the health of your kid.